Following his acclaimed Broadway debut, Michael Flatley is proud to announce the highly anticipated U.S. tour of his LORD OF THE DANCE: DANGEROUS GAMES which, like the Broadway engagement, Mr. Flatley himself will headline in what will mark his final onstage appearances as a performer following a remarkable 20 year run as the creator and star of the LORD OF THE DANCE franchise. The production, subtitled LORD OF THE DANCE, which has already performed to sold-out audiences at the Playhouse Theatre in London and the Lyric Theatre in New York, will kick off its national tour at the BB&T Center in Florida and visit to major cities in the U.S. including Washington DC, Philadelphia, Las Vegas and Los Angeles, among many others. Michael Flatley Michael Flatley first stepped onto the world stage 20 years ago in a performance he created that caught the attention of millions around the world. Since then, his name and Lord of the Dance brand have become synonymous with spectacular artistry and grand scale productions that have mesmerized audiences around the globe. Michael broke the mould of traditional Irish Dancing by incorporating upper body movement and creating edgy rhythm patterns that departed from the traditional. He has created, directed and produced several successful shows including Lord of the Dance, Feet of Flames, Celtic Tiger and his latest show Lord of the Dance: Dangerous Games. 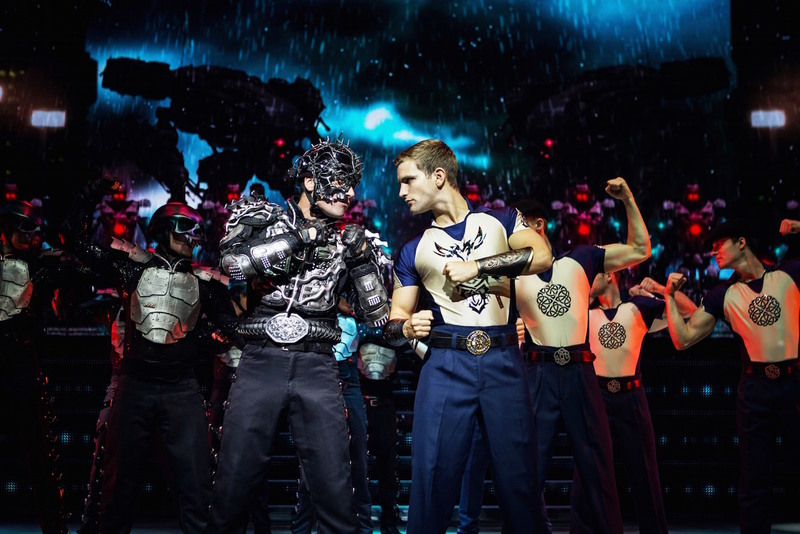 Michael is immensely proud of his show Lord of the Dance and his talented troupe of dancers and was honored to debut Lord of the Dance: Dangerous Games at the historic London Palladium in 2014. Following a sell-out run he was subsequently inducted into the Palladium Hall of Fame alongside Elvis Presley, The Beatles and Fred Astaire. 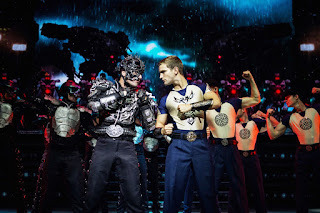 Due to the unprecedented success of Lord of the Dance: Dangerous Games on the West End, Michael and his troupe returned to the West End stage at the Dominion Theatre in March 2015. He also joined the touring troupe for sold out performances in Dublin’s 3Arena and Belfast’s Odyssey Arena. He closed the UK tour on July 4th 2015 with a sold out performance in Wembley Arena. Having previously performed on many occasions in New York’s Radio City Music Hall, Carnegie Hall and Madison Square Garden, Michael realized a lifelong dream and debuted his new show at the Lyric Theatre on Broadway in November 2015 for a limited 8 week engagement. His Lord of the Dance show has broken box office records all over the world. In 1998 Lord of the Dance set a record breaking run of 21 consecutive shows at London’s legendary Wembley Arena. It is a record that still stands to this day. Worldwide video sales were in excess of 12 million copies. Feet of Flames was the first show ever to be performed at London’s historic “Route of Kings” in Hyde Park. This show reached new heights as Michael took it to stadia filled to capacity at 120,000. Celtic Tiger debuted in 2005 and began a new era of dance which combined tradition with an international flare. Michael Flatley is also a master flautist and his album On a Different Note mixes the traditional with the contemporary. In 2010 he reprised his role as Lord of the Dance which was captured for the first time in ground breaking 3D. The show was shot over 3 days at the O2 arenas in Dublin, London, and Berlin. Michael has entered into the world of art with his innovative new art form where he portrays the fluid movement of dance on canvas. The result of the dance is a truly unique visual display.